Earlier this month, I wrote about a pair of studies that delved into the evolutionary benefits of grandmothers. 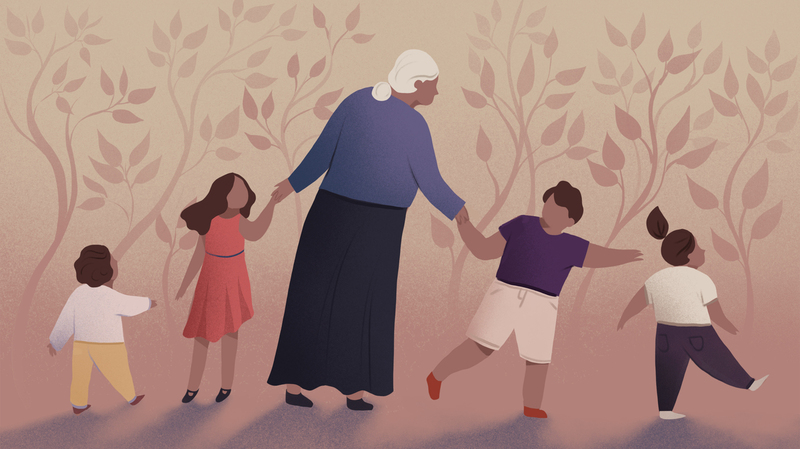 In the early days of our history, grandmothers played a critical role in helping mothers raise children, and scientists think this boost from our grandmothers pushed humans toward longer life spans. But the benefits of grandmothers extend beyond the databases used for these studies. So we at Goats and Soda asked our readers and some of our regular contributors: How did your grandmother help your family survive and thrive? What wisdom did she pass on to you? We heard dozens of touching stories about the positive influence of grandmas around the world. Here are some of our favorites. 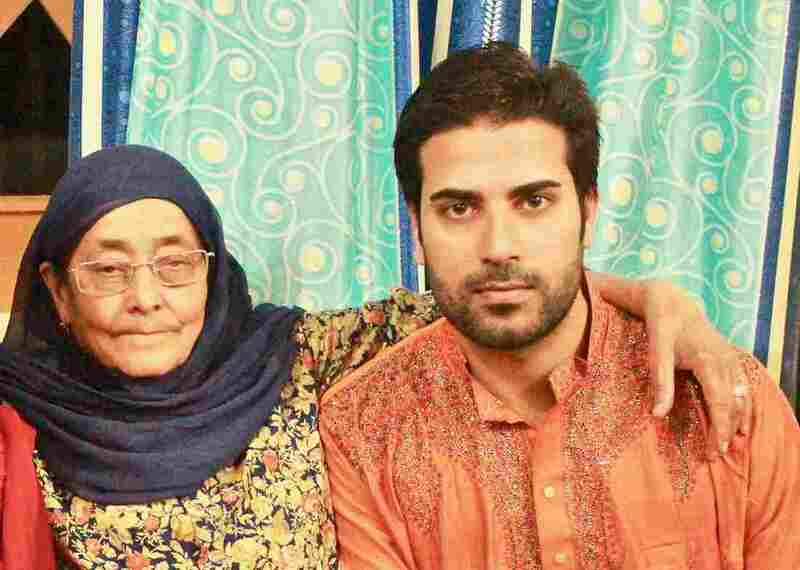 Junaid Nabi and his grandmother, Nani, in Kashmir. Apart from all the love my Nani showered on me, she taught me important lessons on leadership; lessons I did not understand until I had to lead. Nani is an amazing cook, especially when it comes to the traditional meal of rice and lamb cooked in tomatoes. But every night at dinner, I noticed something: Nani served everyone, especially the younger children, first, and ate only what was left. The seemed unfair. Nani put in so much effort cooking for everyone. Why would she eat last, and often the least amount? Years later, in a leadership seminar, I was examining how great leaders lead, and what qualities separate a mediocre leader from an inspirational one. I came across a story about the eating habits of the Marine Corps generals. Like my Nani, they would eat last, and officers took their place at the back of the line. I realized Nani was not only feeding me the best lamb curry in the world, but she was also inculcating important lessons. She taught me that putting others before yourself demonstrates that the cause is greater than any one person, that the team is more important than any one member. She taught me that inspirational leaders sacrifice their own comfort for the advancement of those they lead. 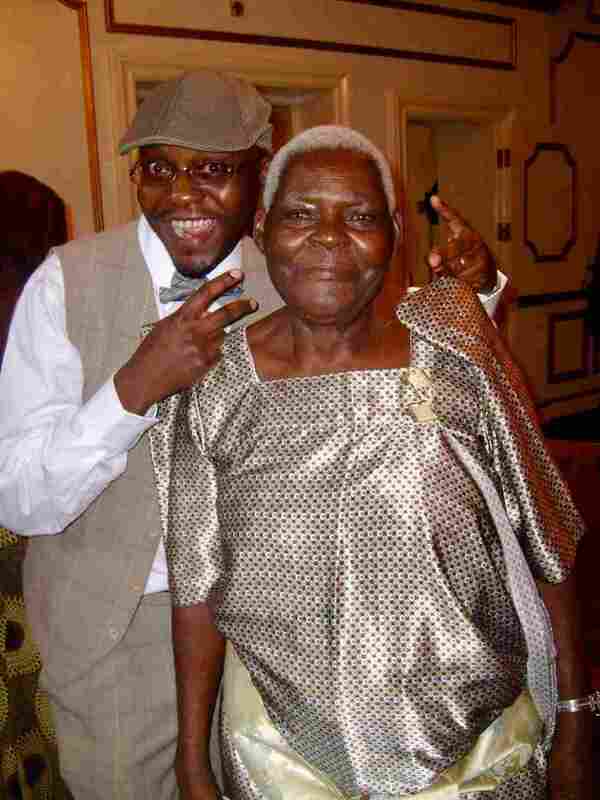 Janet Lubuga Mukaire with her grandson Serufusa Sekidde. “We called her “Jaaja,” which is the Luganda/Lusoga term for grandma,” he says. In the spring of 2011, my then 88-year-old grandma came [from Uganda] to visit one of her daughters, my Aunt Rebecca, in Boston. I was studying in Boston then and staying at my aunt’s house. One Sunday, on the way to church, we stopped at a red light. I whipped my phone out to check my text messages. Before I knew it, a stinging slap landed on my head! “Don’t you know it’s dangerous to text while driving?” grandma growled. “But grandma, I’m not driving!” I said as I turned my head round in disbelief, with stars still swirling in my head. Aunt Rebecca was the one driving and I was on the front passenger seat, on the right. Immediately, I realized grandma had mistakenly thought we were still in Uganda where the driver sits on the right. It’s the opposite in the U.S.
She was always right. Since then, I’ve markedly reduced my phone use on Sundays. Julia, my father’s mother, taught me the dignity of work. 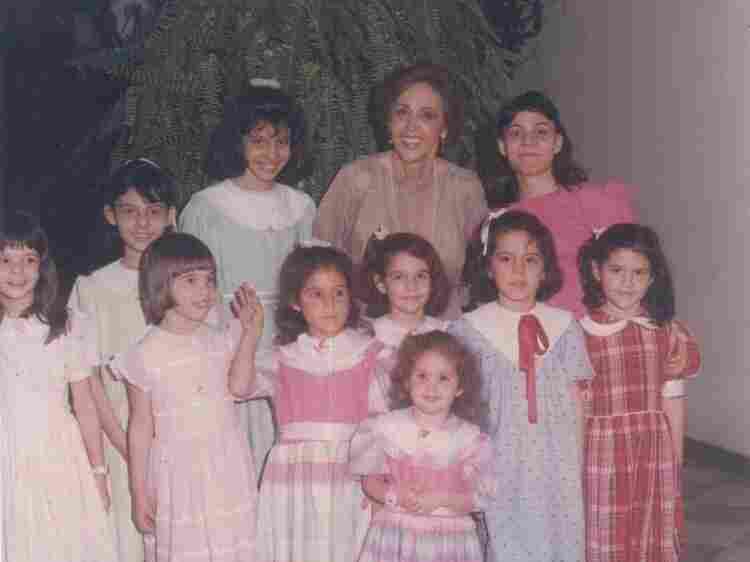 With 30 grandchildren, she shaped our family while taking an interest in each one of us. Every extended school holiday, she rallied us to work at the family hardware store. She organized us in small teams; we all had specific tasks. But exactly at 10 every morning, we would pause to share pastelitos with her and talk about school and work while savoring the meat-filled pastries. Elena, my mother’s mother, was an affectionate caregiver and a constant presence in my early childhood. In the warm Paraguayan afternoons, she would religiously make us take a siesta. Grandma would lie down with my sister and me. Humming calm melodies in a sweet, low voice, she would gently caress our backs, softly moving her fingertips up and down the length of our spines, until we fell asleep. She called it rasquita — something like a gentle scratch. To this day, her rasquita has been one of the greatest simple pleasures I have ever experienced. Selflessness, grit, persistence, hard work and appreciating the little things you have: These values were learned from my grandmother when I was growing up in Kenya. She told me how she would leave her four boys — one of them my father — and walk for hundreds of miles to neighboring communities in search of food for her children. For 40 days, she would take on farm employment just to get enough corn to feed her family. Upon her return after those 40 days, my father and his siblings would celebrate and make a big pot of corn for dinner. It was like Christmas Day for them. Her story reminds me to work hard and appreciate every little thing I have. In my everyday life, when things get tough, I always stop and think of my deceased grandmother. If she was able to make it under such circumstances, then I too can make it. Goats and Soda reporters and editors shared some stories, too. We went to granny's house every Sunday for lunch. Eggs, homemade challah bread, cookies … it was all delicious. Only years later, when I began cooking for my own kids, did I realize how feeding the people in your family is a way to express the deep love you feel for them. And here’s one grandfather shout-out for good measure. Thanks to everyone who shared their photos and memories, and most of all, thanks to our grandmothers for enriching our lives and sharing their wisdom.